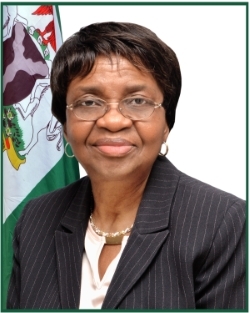 Professor Mojisola Christianah Adeyeye was appointed on the 3rd of November 2017 by the President of Federal Republic of Nigeria as the Director-General of National Agency for Food and Drug Administration and Control (NAFDAC). Prof. Adeyeye, before her present appointment, was the founding Chair of Biopharmaceutical Sciences and Professor of Pharmaceutics and Drug Product Evaluation at the College of Pharmacy, Roosevelt University in Schaumburg, Illinois, where she spent 7 years. She was Professor of Pharmaceutics and Manufacturing for 21 years at Duquesne University in Pittsburgh, PA , USA. She is Senior Fulbright Scholar and Specialist and 2008 AAPS Fellow. Professor Adeyeye is Fellow of Nigerian Academy of Science and Nigeria Academy of Pharmacy. She earned her B.Pharm degree from University of Nigeria, Nsukka, Nigeria and MS and PhD from University of Georgia, Athens, GA, USA. Her research interests include pre-formulation, early phase development of solid, semisolid and liquid dosage forms, and IND-based and intellectual property-driven late phase drug product development. She has mentored over 15 PhD and M.S candidates. She has 5 patents, over 60 peer-reviewed manuscripts, book chapters and books, and more than 150 scientific presentations. She is the founder of a socially conscious start-up company – Elim Pediatric Pharmaceuticals. She used her university lab for the early phase R&D and partners with contract manufacturing organizations for the clinical and registration batches.